Item number 2762/9 from the MOA: University of British Columbia. 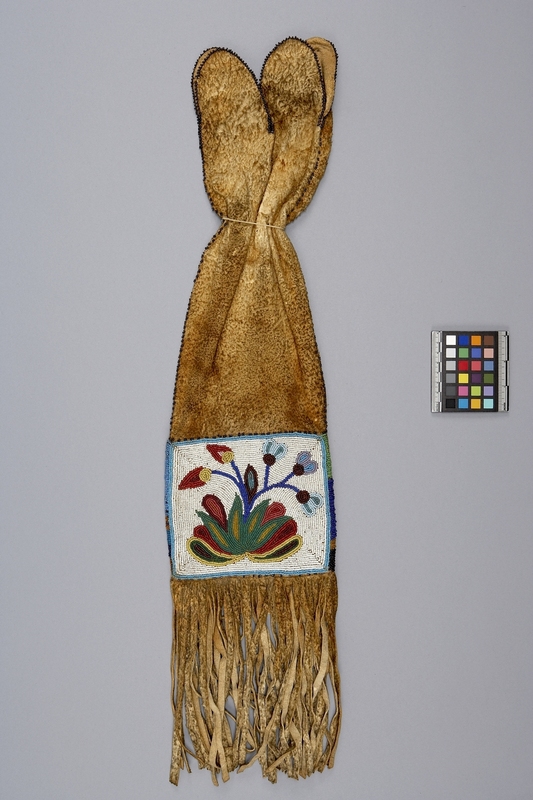 Long skin pipe bag with beaded floral design and long fringe, tied near top with string. Yellow skin bag, with four deep scallops at the top end and a seam down one side, is rimmed with brown beads. 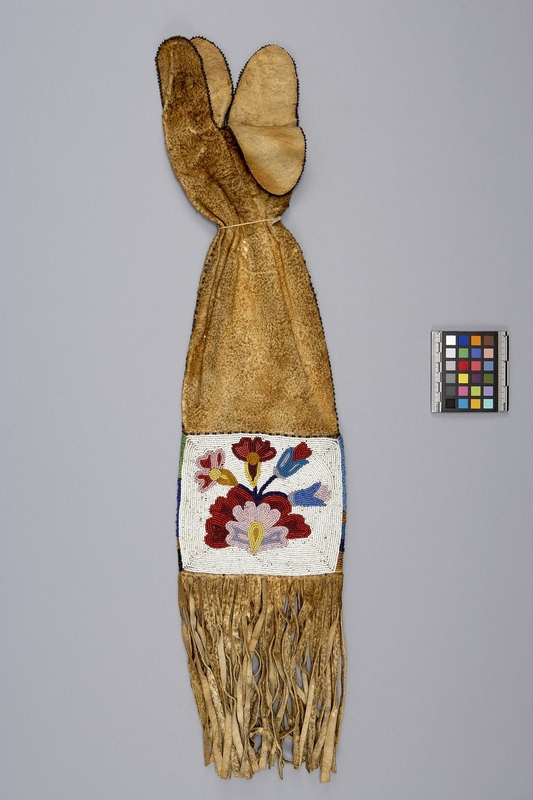 A heavy beadwork panel encircling the bottom, above the thick fringe has a different design in a white ground on each side, one with larger flowers and more pink, purple, red and yellow beads, the other darker with greens, red, browns, blue and mustard yellow.